Big Better Burgers... My new burger joint! A new fast-casual food station, serving only the freshest grilled premium burgers. We have taken the American invention and took it a step further, now they are the Ultimate Premium Burgers. All premium burgers are served with 1/3 lb. patties, yes you read that right, better than those quarter pounds in your fastfood chains but these babies are priced very reasonably and the taste and aroma more than satisfies your cravings. The owners of Big Better Burgers a.k.a. BBB gave us a treat and sampled to us some of their best-sellers. Warning, these food stills will make you really want to get yourself a good burger at BBB. You have been warned. 3. 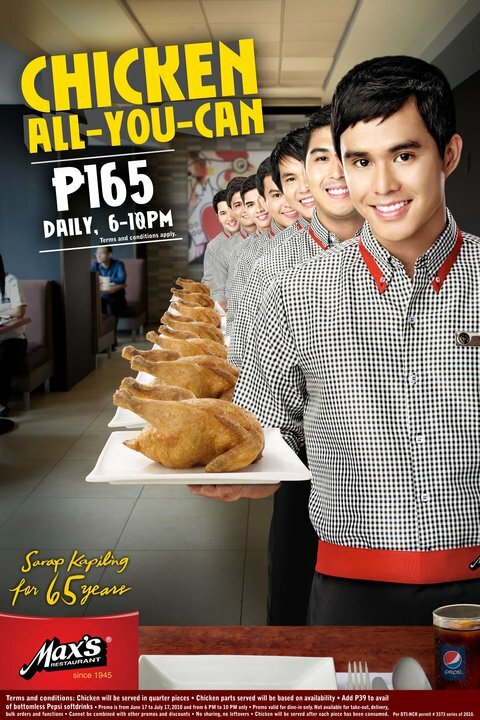 Promo period is from June 17 - July 17, 2010 and from 6 PM to 10 PM only. Ersao (二嫂) has been in the country for a couple of years, they started as a small food shop nestled along Banawe St. in Quezon City, serving a variety of fresh fruit shakes and the ever so crispy and yummy Spicy Chicken and Spicy Pork which I totally love. Through the years they have since expanded to the new and improved Ersao food chain, opening branches in different parts of the metro and invading our local malls one by one. They are sure making waves to the general public. They have recently opened a new branch along E. Rodriguez Sr. Ave. near corner Banawe St., Quezon City. Once I saw this I could not resist myself not to dine in at that moment, and so there I was tempted by my hunger and cravings. It was a very fulfilling meal indeed. Their menu lineup just keeps getting better and better, giving us more of the taste of Taiwan, with prices easy on the budget. Can't wait to try the other combos on offer. Definitely a treat for all ages. See you here sometime soon. #82 E. Rodriguez Sr. Ave.
Yours truly was recently invited by Figaro Coffee Company for a taste test of their new food products. 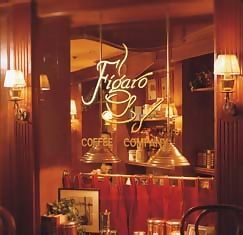 I was intrigued as I would know that Figaro is strictly a coffee based store that serves great coffee. I have little knowledge of what their other specialties were except for the Figaro Frost which is my favorite, yummy. Now with these, all priced at P175.00, you'll never miss your favorite breakfast treats anytime of the day, top it off with an included cup of brewed coffee. Figaro has in them pride for having such a wonderful Chef Karl that has formulated such a sumptuous recipe for their ALL Day breakfast menu. Starting off with the Classic Corned Beef - A sumptuous serving of juicy corned beef, sauteed in onions served with tomato-cucumber salsa on the side and fried farm fresh egg. Their corned beef tasted just perfect because it just had the right blend of onion and salt that captured the essence of the corned beef. Up next, Gourmet Crispy Tuyo - a blend of flavors and spices infused over crispy tuyo flakes served with fried eggplant, tomato-cucumber salsa and farm fresh egg. I am not a fan of tuyo nor eggplants, but I find this combination such a hit for Filipinos everywhere, old or young, it will always be a treat to find this in the breakfast menu. I tasted this tuyo and somehow I liked it, yes it is salty as tuyo should be, but dip it in vinegar and then it's all good. Last, and my favorite among the three, the Pork Longganiza - sweet and spicy flavor of homemade pork longganisa perfectly complemented with tomato-cucumber salsa and fried farm fresh egg. I have a confession to make, as soon as the pork longganiza was placed in my midst, ohh the scent of it makes me salivate. Say to say I was not able to take a picture, so now I am just putting into words which I don't really know how cause it justs taste so good... I finished all 3 pcs of the serving in an instant, forgive me. And finally to top it of, I was served fresh brewed coffee, to go with every all-day breakfast order. Oh it was such a good meal, I will definitely be back for more, promise I'll take some pictures of the longganiza the next time around. Take my word for it, you will not regret it. 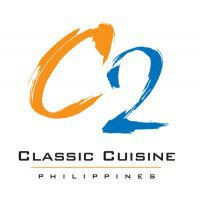 For the month of June, celebrate Father's Day, Independence Day and the Inauguration of the new Philippine President here in C2 Restaurant with your favorite Filipino dish- LECHON! 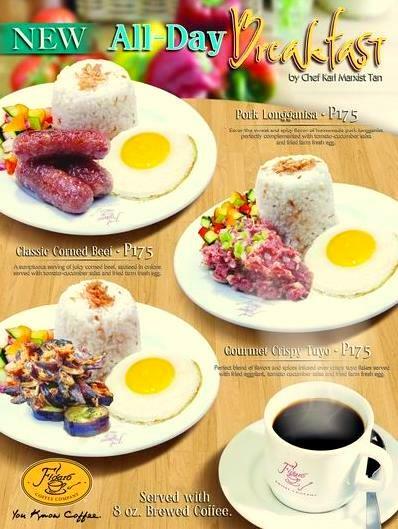 Get complimentary Lechon for diners on June 12, 13, 14, 19, 20, 30 and July 1. C2 Greenhills is located at Missouri St., Greenhills, San Juan!